The Munro & Corbett Chart from Harvey Maps. 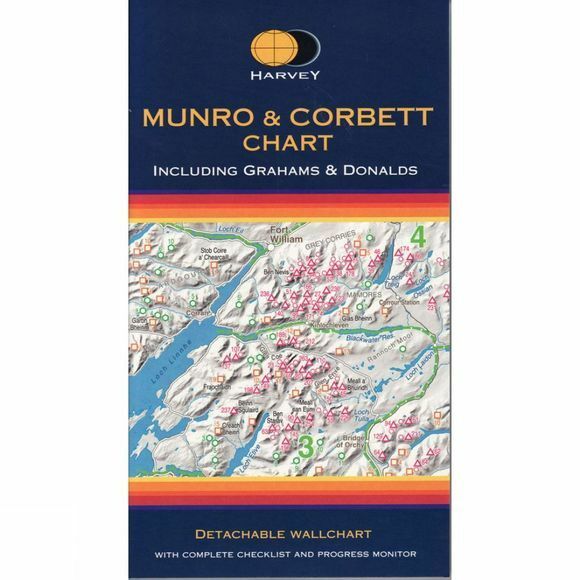 This Munro map is a chart which shows and lists all Munros (mountains over 3000ft),Corbetts (over 2500ft), Grahams and Donalds (over 2000ft). A selection of other hills are named for information. Space for recording your date of ascent. Target to fill in as you complete the challenge.